GRETNA – A local auto parts store is being sued by a man who claims he was seriously injured when a sign fell onto his head and neck. Michael Tolbert filed suit against Wilshire Insurance Company, George Berry, Berry’s Painting and Handyman Service, Spectrum All Purpose Painting, The Pep Boys – Manny, Moe & Jack Inc., Lane-Valente Industries Inc. and Roy Hebert in the 24th Judicial District Court on March 27. 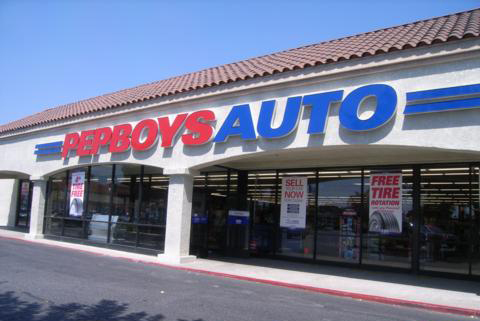 Tolbert claims he was a customer at the Pep Boys located at 6638 Veterans Memorial Blvd. in Metairie on March 28, 2013 while the store was undergoing construction and renovations. The plaintiff alleges that when he was standing in line waiting to purchase goods a sign above him became unfastened and fell on him. He claims a painter had been working on an aerial lift near the sign that fell. Tolbert asserts that he received head, neck and shoulder injuries in the incident. The defendant is accused of failing to take all necessary measures to ensure safety of those present, failing to prevent signage from falling, failing to warn of know dangers, failing to warn of an unreasonably dangerous maneuver, failing to maintain a safe construction site, failing to properly supervise the on-going construction, failing to maintain premises in a safe condition, failing to ensure subcontractors and others follow proper safety procedures, failing to safely operate an aerial lift, acting before it was safe to do so, wanton and reckless disregard for safety, failing to follow instructions contained in the aerial lift manual, failing to ensure proper warnings were present, failing to do anything to avoid the accident and any violations of safety rules and standards. An unspecified amount in damages is sought for physical pain and suffering, mental anguish, medical expenses, disability, loss and impairment of life’s pleasures, lost wages and diminution of earning capacity. Tolbert is represented by Emily Elrod Shields of Metairie.